The point is often made that the ‘attacks’ on Adrian Delia have the consequence of weakening the opposition’s ability to stand in the way of Joseph Muscat. There’s something to be said for that argument. After all, it is clear that Joseph Muscat is getting away with a lot. Let’s just throw a few things from the last few days. The European Central Bank closed down Pilatus Bank. Though the Maltese regulator is trying to claim credit, no one can cancel the memory of Edward Scicluna assuring Parliament Pilatus Bank had nothing to do with Ali Sadr’s arrest in New York. 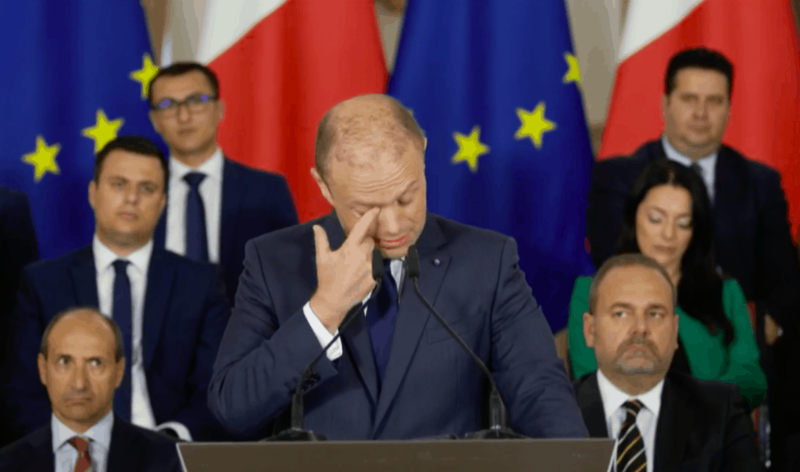 And they cannot cancel the memory of Joseph Muscat fake crying in June saying the Egrant inquiry found Daphne Caruana Galizia and Maria Efimova lied. The European Central Bank disagreed and a bank Labour licensed has been taken off the face of the planet in spite of the protection afforded to it by Joseph Muscat: the most important wedding guest at Ali Sadr’s most recent wedding. Now there is no Pilatus Bank for Labour supporters to party in front of. The Opposition right now should be making a song and dance about this. Our institutions have been shown up for the irrelevance they really are and right now Parliament should be demanding of Edward Scicluna why was Pilatus closed. After all, he said it’s nothing to do with Ali Sadr’s arrest. So why did it happen? What was found to be wrong at Pilatus Bank to justify the removal of its license? Has money laundering been confirmed? 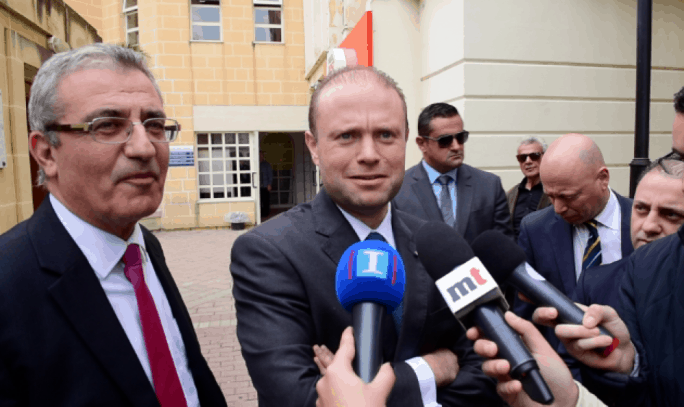 Are criminal charges now being filed for laws broken here in Malta? Because if nothing was illegal at Pilatus Bank, closing it will give grounds to its owners to sue the government for the losses they are suffering. There must be grounds for closure. If there are grounds for closure there are likely grounds for criminal action. Who is asking what those might be? Why is this especially important? Because of the little incident, we call Egrant. Because understanding what was wrong at Pilatus Bank will help us assess the credibility of Aaron Bugeja’s findings in his inquiry into their computer records. Because if Maria Efimova was right about what she reported on Pilatus Bank to the point that its closure became inevitable, why was she wrong about Joseph Muscat’s alleged secret Panama stash and the alleged bribes received from Azerbaijan? I can see why Joseph Muscat would want to be avoiding those questions. But why is Adrian Delia not asking them? Let’s pick out another thing that happened in the last few days. Joseph Muscat likes quoting Magisterial documentation we have not seen to tell us how vindicated he feels. But who is quoting a Magisterial decision we have seen: that says that Minister Evarist Bartolo, Parliamentary Secretary Clint Camilleri, Chief of Staff Noel Abela, Permanent Secretary Joseph Caruana, Chairman Samuel Formosa and Chief Operations Officer Tony Muscat knew for a full year of corruption in the Ministry of Education and covered it up. And the same decision then finds that the Commissioner of Police Lawrence Cutajar ignored the allegation of corruption when he was informed of it. Why is the Opposition not demanding resignations from the political masters who have been found by a judicial process to have covered up corruption? Why is the Opposition not demanding the resignation of the police chief who was found by a judicial process to have ignored information of corruption given to him? Yet another thing. Satabank accounts have been frozen for 12 days. Suppliers to many Malta-based businesses are now feeling the pinch as companies are not paying their bills. Landlords of tenants working in the gaming industry have not collected October rents. Payment runs have been skipped and salaries for October are not yet paid as some companies are worried that November payroll might also be out as money they have invoiced their own clients is lost somewhere between their clients’ banks and Satabank. You may think everything is hunky-dory right now because you’re not hearing much complaining. But that’s mostly because the Opposition seems oblivious to what is going on. The gaming industry and the financial services industry are extremely nervous and there are many irate customers out there who feel let down by the offer Malta made them and what they are actually getting instead. Local intermediaries are mumbling their international counterparts are starting to advise customers to look outside Malta for their business. Again Parliament should be screaming hard questions at government right now. Why have all the accounts at Satabank been frozen? How much of its business is believed to have been contaminated by whatever it is that caused this shut down? What has been established in all this time? And why was its owner licensed to operate here? 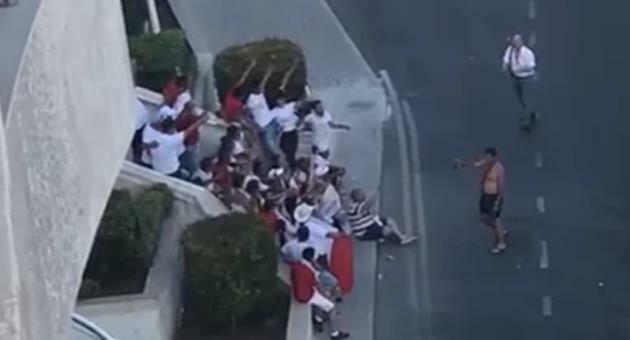 Have the police been brought in if crimes are suspected to have happened in Malta? Have there been any arrests in all this time? 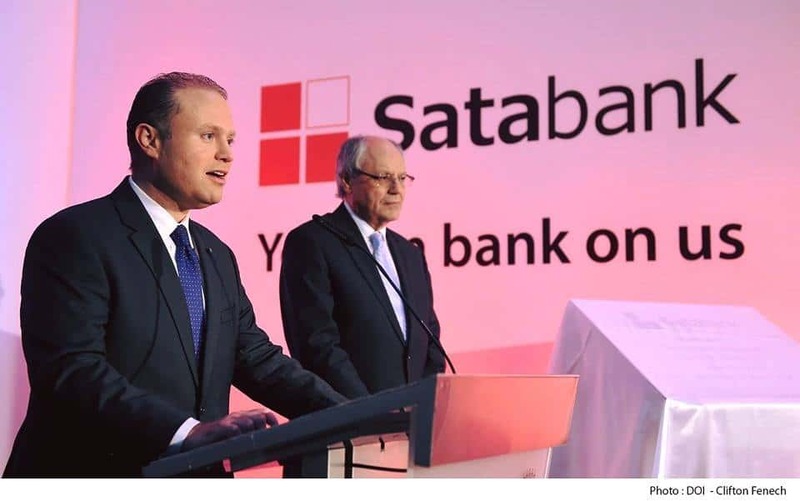 Has an inquiry into the licensing of Satabank been started? Who’s conducting it? What has it found so far? Why is the Opposition not asking this? Why is the government being allowed to get away with all this? Well, right now Adrian Delia is at an EPP meeting in Helsinki. That’s his job. 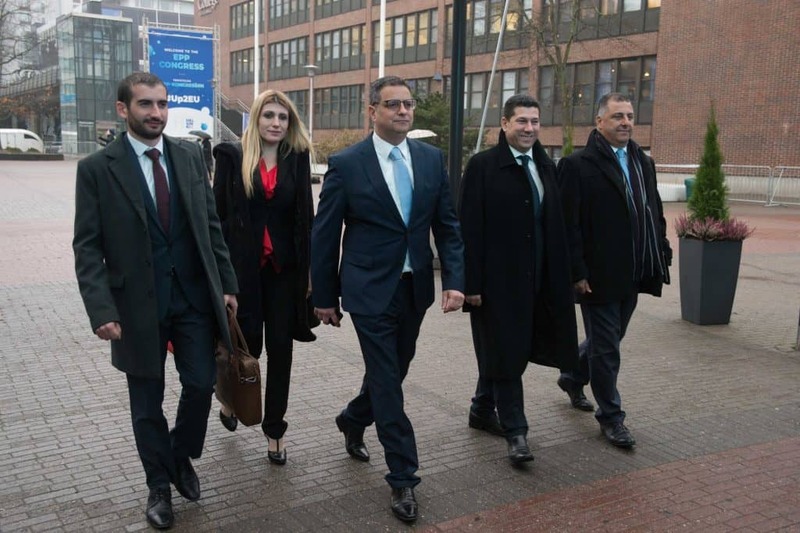 His briefcase there is being carried in turn by David Agius, Clyde Puli, Kristy Debono, Mark Anthony Sammut, Roslyn Borg Knight, Robert Cutajar, David Casa, Roberta Metsola and Francis Zammit Dimech. There have been smaller Chinese delegations to top level summits. You could say it’s the MEPs’ job to be at the EPP summit. Couldn’t they handle Adrian Delia’s briefcase without all the extra help? And in the meantime who’s shadowing Joseph Muscat at PN HQ? Ċensu l-iswed?